I'm no one famous. I'm not an expert in any field. I don't sing, dance, act, or compose. I didn't go to graduate school, or even a four year school. I am not an authority on any subject. I've never traveled abroad, much less across America. I don't speak any foreign languages, and I can't slice an onion to save my life. My mind can't keep it all contained and I feel like a tangled mess. While I can't guarantee this blog from sounding like a mess, it will be completely unpredictable. I hope you laugh, contemplate, question, and smile. 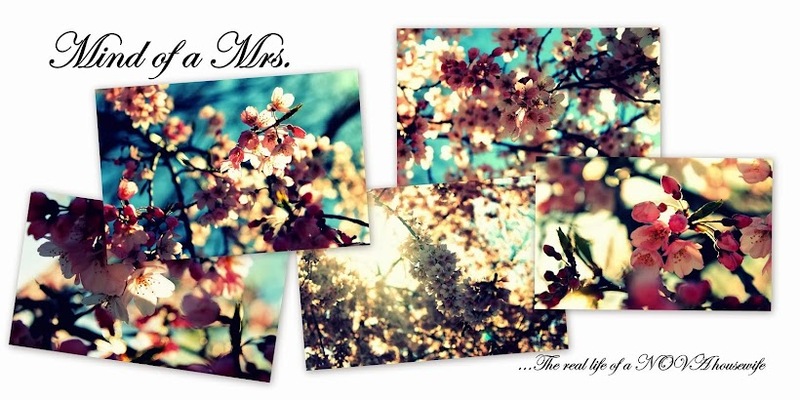 I hope my thoughts don't scare you away as you discover the Mind of a Mrs.